Inside: Fun and festive plastic Easter egg crafts and fun Easter egg filler ideas! Money…can I come over for your Easter egg hunt? 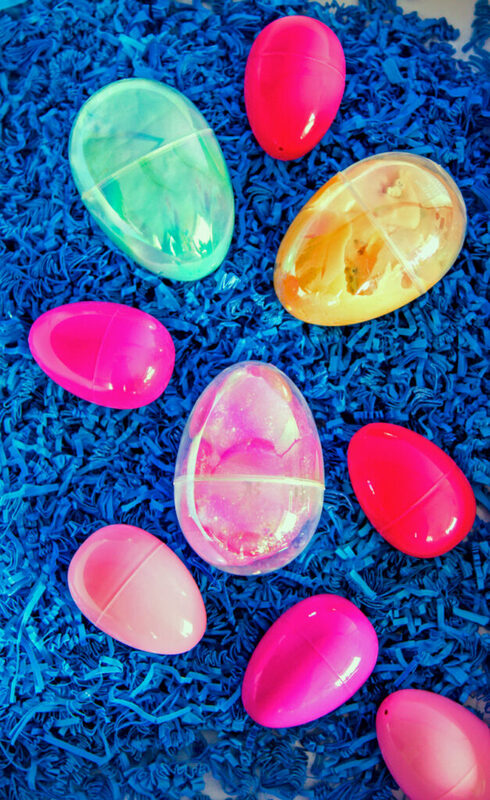 Slime…no seriously, check out this awesome Easter Egg fluffy slime recipe that we made! I’m sure there are many other things that you could add to this list of Easter egg fillers, but those are just some of my own ideas. Would love to hear if you’ve got a tradition you stick with every year for filling your Easter eggs! Besides filling, did you know plastic Easter eggs can also be decorated?! 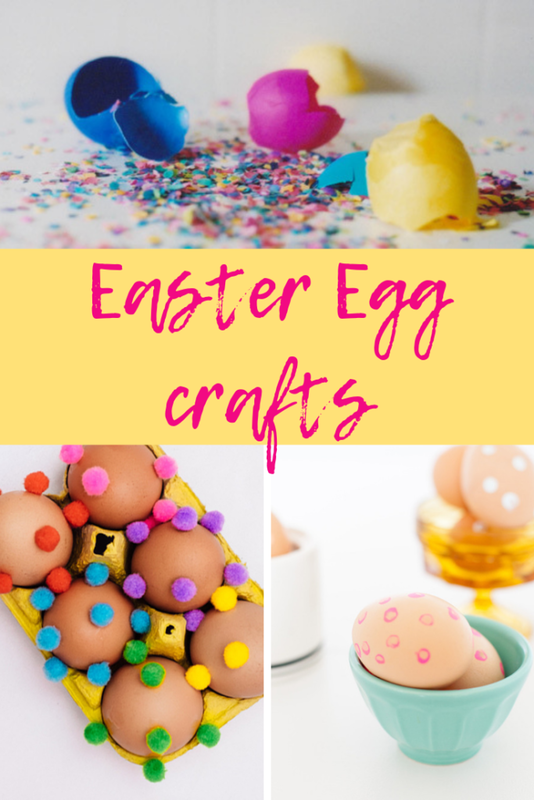 I know they’re already bright and colorful on their own so dying Easter eggs won’t be necessary here, but we’ve come up with a number of plastic Easter egg crafts over the years – with a little added pizzazz, they’re even more fun. We made these Faux Fur Easter Eggs and the kids had a blast searching high and low for these fuzzy little guys during our annual Easter egg hunt. Another crowd pleaser is Paper Mache Easter Eggs. These are perfect for an adult Easter egg hunt or for pretty spring home decor; the lighter pastel colors look really nice and are much more subtle than your typical neon colored Easter eggs. And, they’re great for the kids too because the only way to get to the treats inside is to crack them open! If your kids are anything like mine, they’d be content to smash open Easter eggs all day long…to get to the sweets, of course! You can even buy white plastic eggs right here to make the plastic Easter egg crafts even easier. Long before plastic, the hard boiled egg was the obvious Easter egg to color. Besides being the original, we really like hard boiled eggs because they are multi-purpose. First, you get to decorate them and then you get to eat them! You can enjoy them as is, but I really like to make deviled eggs…especially if the whites have picked up some color from your dying Easter eggs! 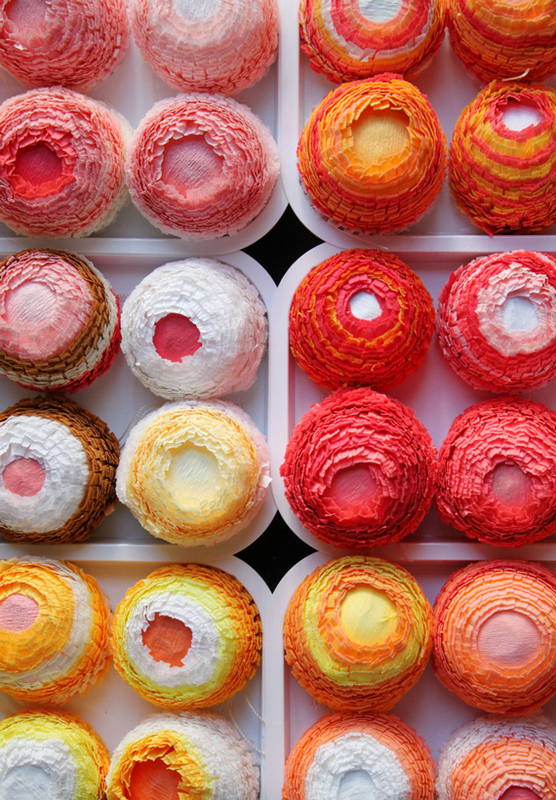 They look *almost* too pretty to eat, all bright colored on the outside and filled with creamy yellow centers. Ok, now back to talking about our Easter egg crafts! 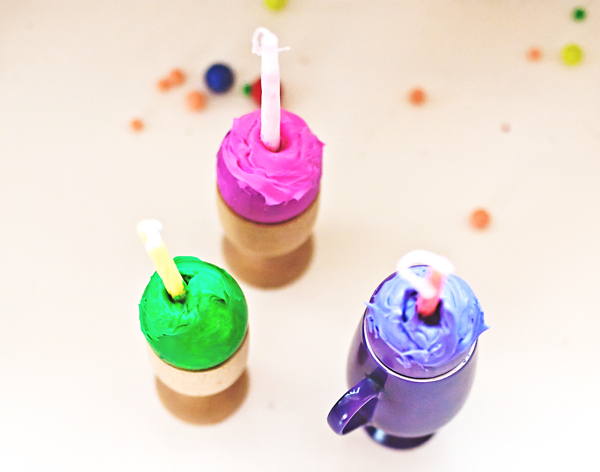 We’ve got a bunch of creative ideas that are totally mess-free aka perfect for the kids to join in on the action or for a quick and easy clean-up after having the girls over for an afternoon of decorating. Silly Face Easter Eggs are sweet, sassy, and totally unique. We’ve got a free printable for you to download so that you can make these little faces right at home. What’s more fun than pom poms? Well, not a whole lot! Pom Pom Easter Eggs add some fuzz and color to plain hard boiled eggs or dyed ones with just a few dabs of glue. 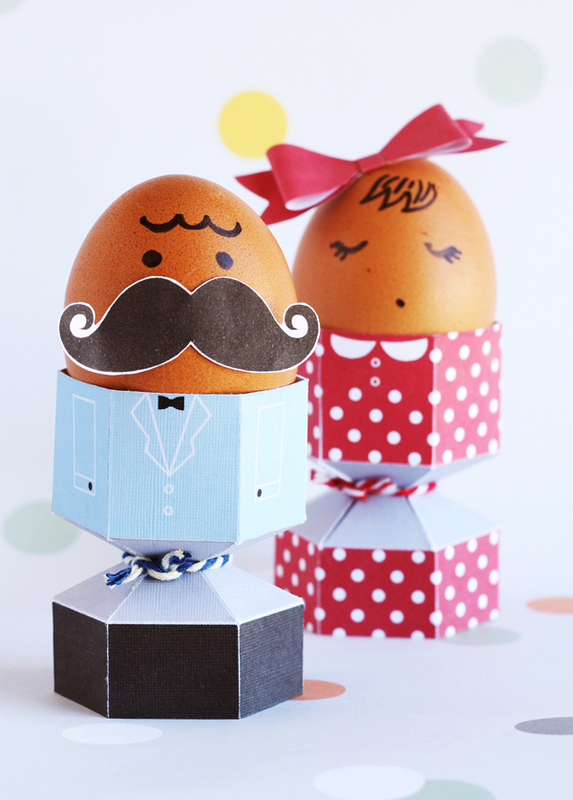 We’ve got another printable for you so that you can dress your eggs in mini suits and dresses, but we totally encourage you to draw on their faces and features to match everyone’s individual personalities. If you’d prefer to literally place a face on an egg, then these Photo Print Easter Eggs are the perfect Easter egg decorating idea for you! 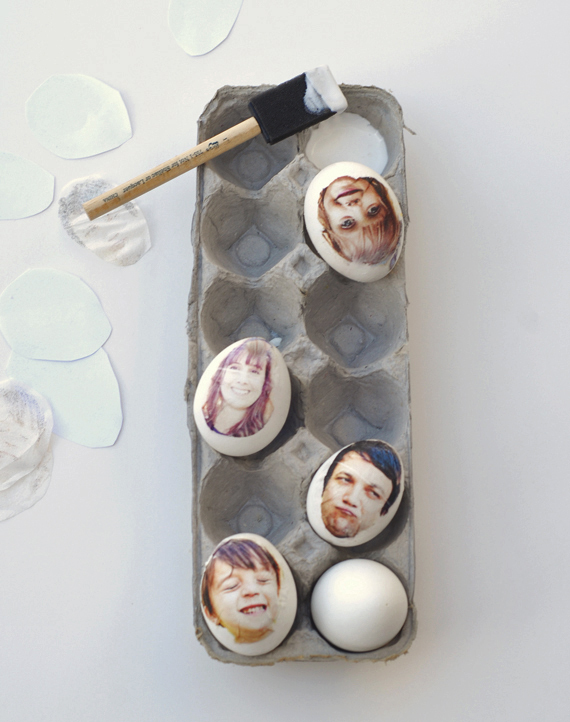 All you have to do is adhere to family photos onto eggs, and then you can use them as place cards for Easter brunch or dinner! 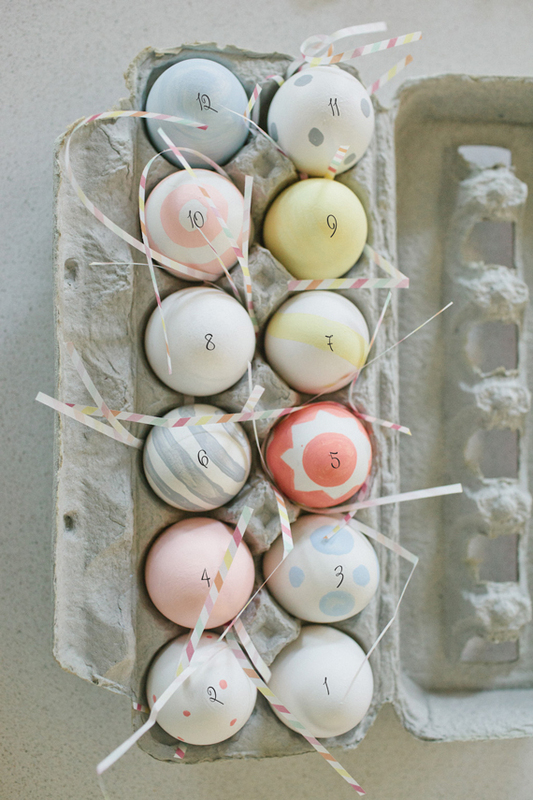 Possibly the quickest and easiest of the Easter egg crafts ideas is to take a plain old eggs from drab to fab! Take a peek at these String Wrapped Easter Eggs. 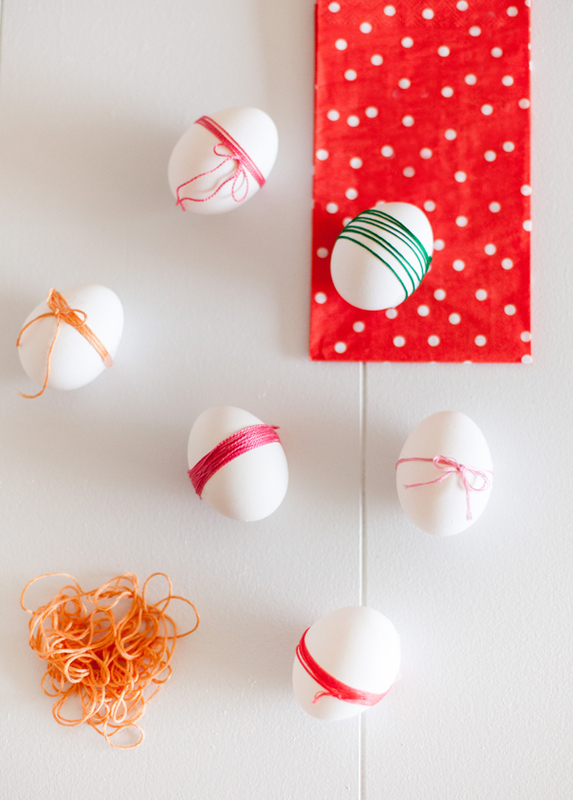 Using different colored string of any colors you like, simply wrap white or brown eggs. You can tie a knot, bow, or tuck the extra string for a variety of looks. 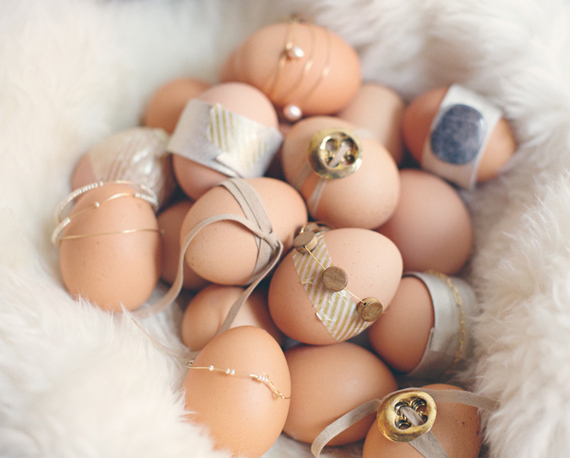 Jeweled Easter Eggs are great for the DIY’er who has lots of random odds and ends laying around from leftover crafts. Think buttons, ribbon, jewels, beads, linen, and tape. 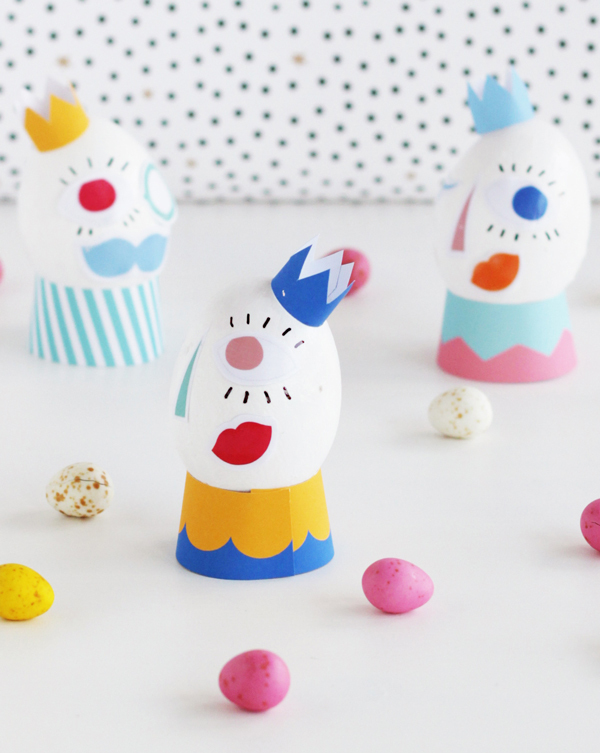 There’s no specific pattern to follow; just get creative: wrap, stick, and glue on your tiny trinkets for some exceptionally eccentric Easter Eggs! Blown-out Easter eggs sound a lot fancier than they actually are…really, they’re just empty eggshells with the insides “blown out.” It’s a simple process done by making a small hole in both the top and bottom of the egg and then literally blowing out the entire egg, white and yolk. 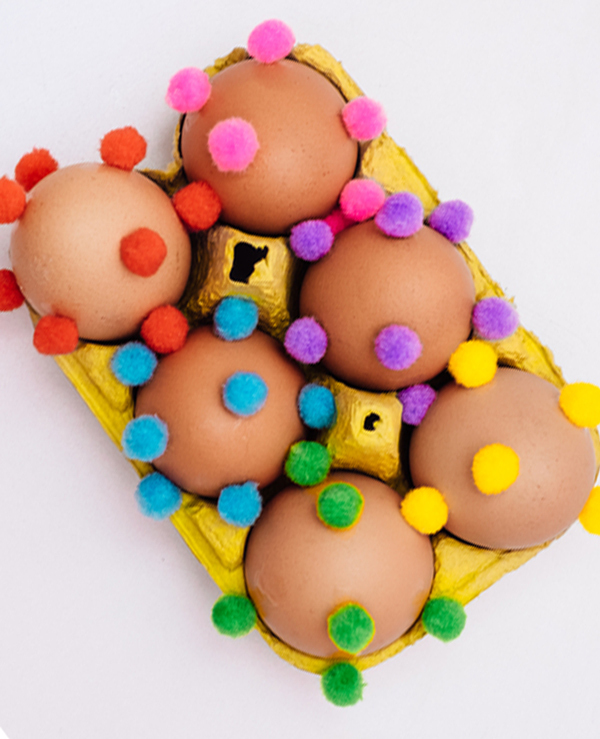 This pretty Easter egg craft can get a little messy, but I promise it’s well worth having a perfect little shell for all your Easter eggs craft ideas. One of my favorite Easter egg crafts is making A Dozen Easter Countdown Eggs, but instead of using the blowing method, we made larger holes in the bottoms of the eggs and drained them out. Then, we filled them with a variety of tiny gifts and confetti paper “grass.” They’re the perfect countdown to Easter! And the Easter egg craft that’s been our most popular over the years is creating, Piñata Eggs that are also stuffed with confetti and then decorated with fringe-y floral crepe paper in all the pretty colors. They look just like mini-pinatas when hung up all around the house in the most fun preparation for Easter ever. If you don’t want to use real eggs these would be great plastic Easter egg crafts for everyone to enjoy. Birthday Cake Easter Eggs are an Easter egg craft that can also be eaten. Whoohooo! Make for the perfect sweet treat to decorate not only for a birthday celebration but even for a fun dessert to serve at any Easter gathering. 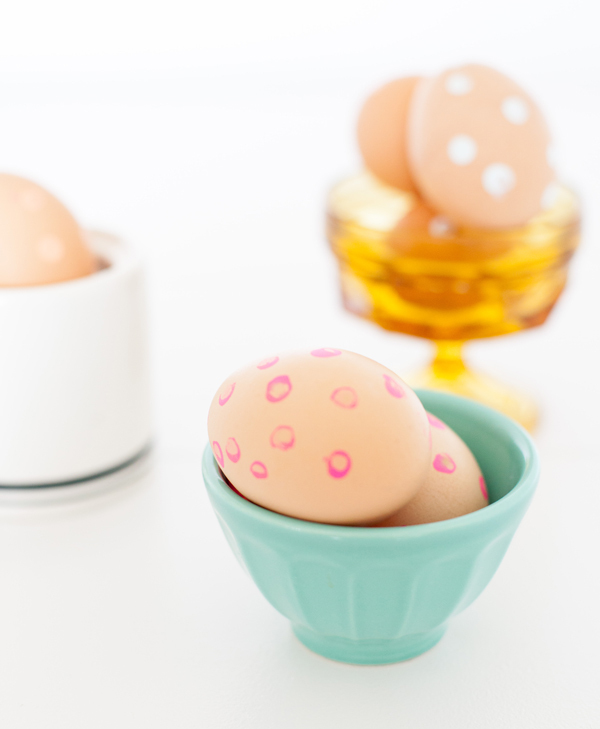 Check out the post for our homemade edible egg paint recipe that’ll make coloring the Easter eggs even more delicious. I’m definitely up for having some of these in my Easter basket this year! 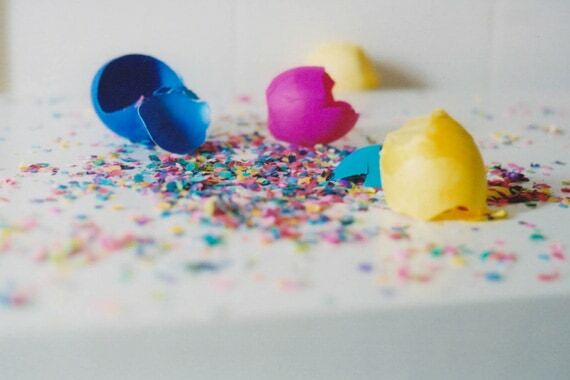 Cascarones are little colored confetti-filled eggs. Simple to make yourself using blown-out eggs, or available for purchase if you just don’t have time to do all of the things this Easter. Either way, these Easter egg filler ideas always bring a celebration! I love dyed Easter eggs and dipped Easter eggs, but there is just something so special and stunning about hand-painted Easter eggs. Like I mentioned before, an Easter egg is a blank canvas, and there are just so many beautiful things you can paint on! 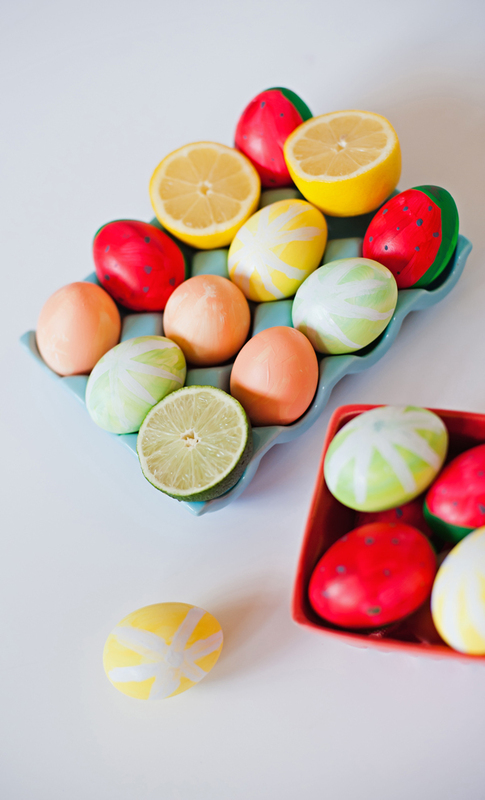 These Easter egg crafts with paint will really liven up the normal dying routine. Fruit Inspired Easter Eggs are hand painted to model our favorite fruits (using edible paint, of course). They look so pretty in a berry pint, fruit crate, or decorative bowl. I used brown eggs to make these Polkadot Painted Easter Eggs. I like how the colored dots contrast with the light brown egg. You could also dye your eggs first and then add some colored polka dots. Or, do colored dots on a plain white egg. The choice is totally yours and all it takes is a pencil eraser and some paint! If you’re still hunting around for the perfect Easter egg decorating idea, here’s 25 Well Designed Eggs that should help you decide. Some are dipped, some are dyed, and others are painted, but they all have one thing in common. They’re totally gorgeous, I really would love to try them all. Pretty sure we covered just about everything we could to help us all master our Easter egg crafts this year. If you’ve got other creative ideas, tips, or tricks, please do share! What kind of eggs are you using for this year’s Easter egg hunt? How do you like to decorate? What’s inside your Easter basket? 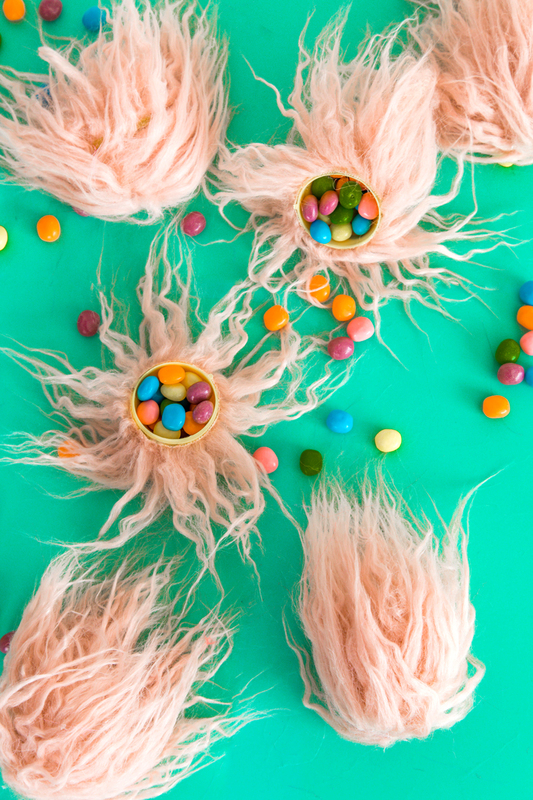 If you need some inspiration, here’s 35 Creative Easter basket Ideas for you to check out. Happy Easter!